looking real nice Bart, good work! Isn't it too low of the rear and too high of the front? One moment I drove my car like that and the road behavior was'nt good. You might be right, I didn't drive it yet, cause I didn't need to go anywhere. I set the suspension like this because I think it looks much better when it isn't leaning forward... The chassis is nearly level, with ~9cm clearance at the front and about 10cm at the rear. 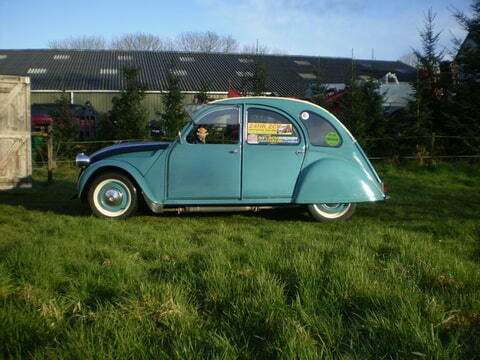 I was talking with a friend of mine about it last night and he used to have his 2cv set very simular, but he needed better shockers (spax adjustables) at the rear, because the rear was too bouncy with standard ones. Did you find that too Etienne? or what else wasn't good about the road behaviour in your case? Don't forget they drive on slick track! The problem with my car was on the bumpy road and mostly curves. The back was bouncing, it's hard to explain. You might had problems with your shockers. When you lower your car that much, some of the shockers are then too short... That explains why it can get really bumpy! Well I drove it and that was absolutly fine, but somehow it wasn't looking right...it looked as if it was hanging backwards although the chassis was level... So I measured the highth of the underside of the windows and the little trim and I found that there was a 2cm difference. Since I liked the rear so low I lowered the front further, by screawing out the eyes furtehr and putting rear axle spacers under the front axle. Furthermore I made an Olli style rear bumper, I must say I really like it!!! thanks again for the idea. 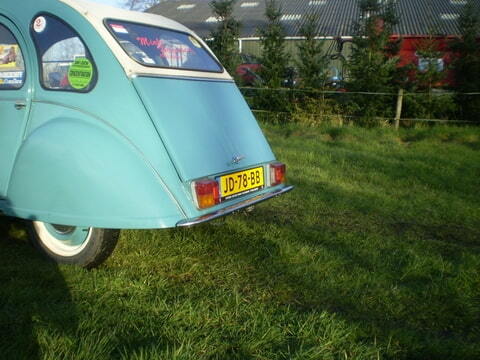 Yes the rear bumper is really spot on Bartje, I think this will become a novity in 2cv cars. I liked it also very much on you car, the chrome and the blue. I bet your DAD was well pleased (not). 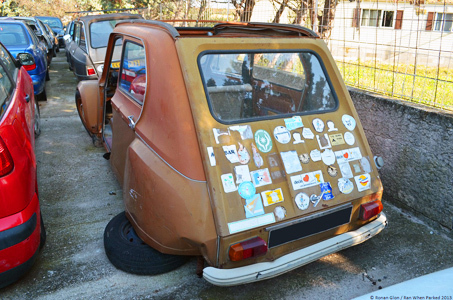 Bartje, i have to say that really looks great and i do like the rear bumper, its turned out well . Of course it's because trim and chassis are not paralell. The 2CV need a rake to look straight actually! Yes, but I never realized that. My dad is alright with it we just swapped grills so he has my late 2cv chrome trim thing and I will see if I can bend it all back the three bar grill more or less nicely. 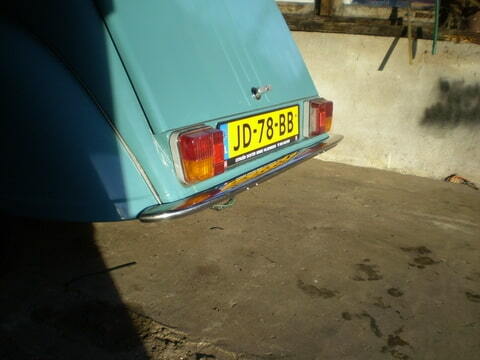 I saw that bumper in Gemert yesterday and it looks very good!!! I think stance is really good on this picture. "race style" 2cv does not need rake. Bumber looks good as well. At the A-markt I saw your lambda display. Where do you get it. 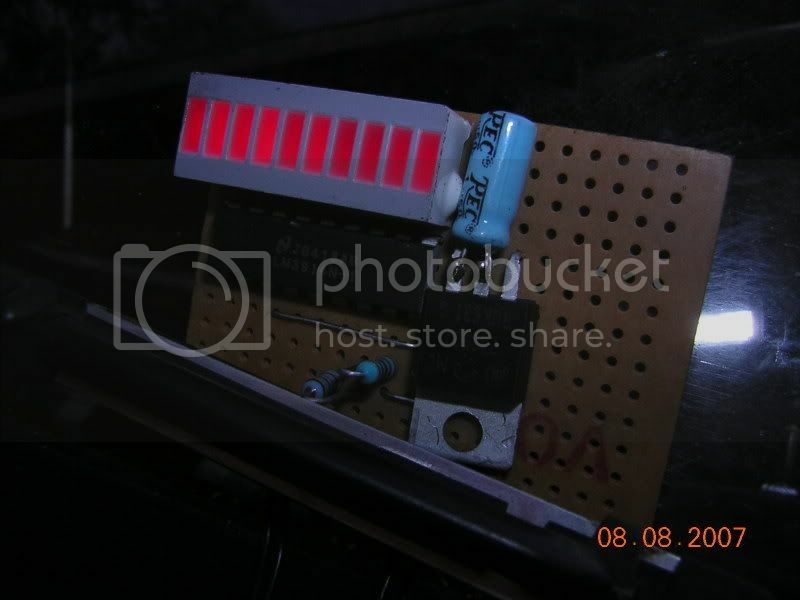 My 2cv has a lambda sensor fitted, but the homemade lambda display still doesn't work. Maybe it's better to get a complete one. I bought mine from BCCP fuelsystems, here is the link to their webshop http://www.bccp.nl/shop2/enter.html. When I bought it I asked whether you need a wideband lambdasensor with it or not and they said it is actually made for a narrowband lambdasensor. 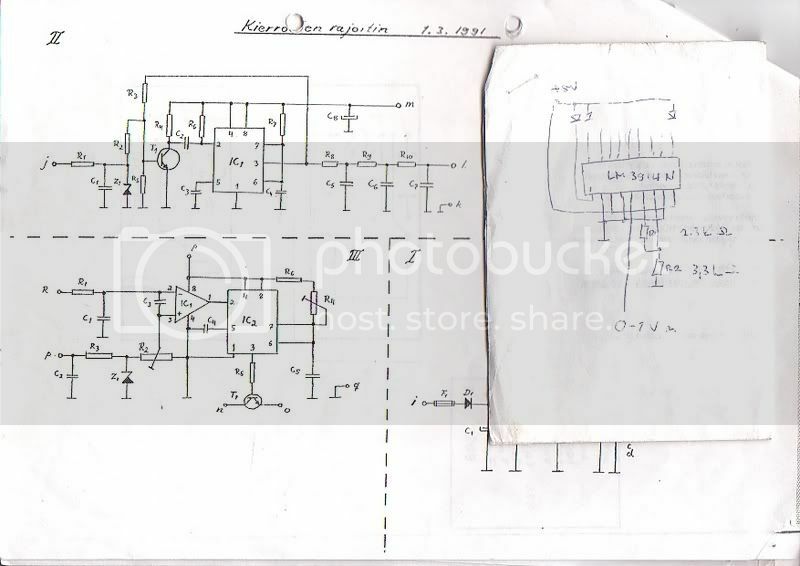 So for everybody who would lik to do this as well, get your sensor of the scrapyard, I got my sensors (Bosch) out of a BX 1.4 and a simular Peugeot.